Full name MICHAEL GABRIEL MARTÍNEZ...Is a 2001 graduate of San Lorenzo High School in the Dominican Republic...On Twitter @Pelucita19...Attended San Lorenzo de Los Minas.Plays soccer and basketball…Most unforgettable moment in his life was playing in the 2016 World Series…Favorite player as a kid was Rey Ordoñez on the NY Mets. Spent much of the season in a utility role with Cleveland around stints in AAA Columbus and with the Boston Red Sox in July...Began the season in AAA Columbus, batting .288 (30-104) with 8 2B, 1 3B, 2 HR and 12 RBI in 27 games (.351/.442/.793) and hit .341 (15-44) with runners on base...Defensively he has appeared in 14 games at second base, 6 games at shortstop, 5 games in center field and 1 game at third base for the Clippers...Was promoted to Cleveland on May 14 when Michael Brantley returned to the disabled list and spent the next six weeks on the Major League roster, hitting .283 (17-60) with 3 2B, 1 HR and 3 RBI (10RS) in 32 games while appearing at six different positions... Was a roster casualty of Cleveland's 19.0 inning game at Toronto on July 1 and was designated for assignment the next day to make room for bullpen reinforcements...Was acquired by the Boston Red Sox for cash on July 8 and spent nearly a month on Red Sox Major League roster before being designated on August 2 (and claimed two days later by Cleveland)...Appeared in 4 games with the Red Sox (1G SS, 2G/1GS in RF)...Spent the remainder of the season on Cleveland's Major League roster, hitting .171 (6-35) with 5 runs, 1 double and 1 RBI in 27 games in August and Sept./Oct....Overall with Cleveland he appeared in 21 games (7 starts) at second base, 11 games (3 starts) in center field, 9 games (1 start) in left field, 9 games (5 starts) in right field, 5 games (4 starts) at shortstop and 2 games (1 start) at third base...Lone home run of the season came on June 15 at Kansas City off Ian Kennedy...Was on all three Postseason rosters and appeared in 7 of the 15 games and made the last out of the World Series...Played in 16 games in the DWL for Estrellas after the season. Spent most of the season in AAA Columbus, batting .289 (105-363) with 24 doubles, 5 triples, 5 home runs, 42 RBI and 53 runs scored (.344/.424/.768) in 102 games...At the time of his 9/4 promotion to Cleveland he ranked 11th in the International League in batting average (5th-highest in organization)...With Columbus, Martinez appeared in 66 games at second base, 19 games in center field, 13 games at shortstop, 4 games at third base and 3 games in right field...With Cleveland he made 7 starts (2 GS CF, 5 GS LF) and also appeared in 2 games in left and one game at third base...Played winter ball in the D.R. with Estrellas. Spent most of the season in AAA Indianapolis in the Pirates system...Was with the Pirates at the Major League level over two stints (6/13; 7/6-8/17)...At Triple-A he appeared in 55 games at second base, 22 games at short, 13 games in center, 5 games at third base and 2 games in left field...At Triple-A he hit .299 (23-77) with RISP. Spent majority of season with Lehigh Valley (Phillies' AAA), but also had four separate stints with Philadelphia...Made 13 appearances (five starts) in center field, three appearances (two starts) at shortstop, two appearances at third base, two in left field and one in right field for the Phillies...Was hitting .248 (28-for-113) after his first 33 Triple-A games before having contract selected on 5/24...Went 0-for-2 in three big league games from 5/25 to 6/1 and was optioned back to Lehigh Valley...Went 4-for-4 while hitting his first home run in his second game back with the IronPigs on 6/5 at Buffalo...Was recalled a second time by the Phillies on 6/13...Went 0-for-2 in three games before optioned to Triple-A on 6/21...Was designated for assignment on 6/22 and outrighted off the roster to Lehigh Valley on 6/24...Had contract selected by the Phillies on 7/24 and collected first hit of the year that night at St. Louis...Made first start with Philadelphia in center field on 7/27 and went hitless in three at bats...Pinch-ran and swiped lone base on 8/1 vs. San Francisco...Went 5-for-26 in third stint with Philadelphia before being optioned back to Lehigh Valley on 8/21...Was recalled a fourth and final time on 9/1...Went 2-for-10 in eight big league games during the month of September...Played winter ball in the D.R. and hit .217 (13-for-60) in 17 games with Estrellas. Made 48 starts at 5 different positions: 24 at 3rd base, 8 at SS, 8 in CF, 7 at 2nd base and 1 in LF; batted .203, 3 HR, 21 RBI in his starts...Made his ML debut in a start (CF), 4/3 vs HOU, and collected his 1st hit and RBI (Enerio Del Rosario)...Had a career-high 4 hits, 7/10 vs ATL, becoming the 1st Phillies rookie to get 4 hits in a game since 7/27/07 (Michael Bourn)...Slugged his 1st ML home run, 7/17 at NYM (Mike Pelfrey)...His 15 RBI in July were 3rd-most among NL rookies that month behind Freddie Freeman and Jesus Guzman (both with 18)...Batted .296 (16-54), 2 HR, 15 RBI over a 14-game span, 7/4-24. Split the season between Harrisburg (AA) andSyracuse (AAA) ... Set professional highs in hits (132), HR (11) and SB (35) ... Batted a combined .322 (39-121) with RISP ... Hit safely in his final 16 games of the season (with Syracuse) in which he had an at-bat (.418, 28-67, 3 HR,14 RBI) ... Appeared in 36 games in the OF for the 1st time in his professional career; played all 3 positions for both teams. Began the season with Harrisburg ... Was transferred to Potomac (A) in mid-July ... Had 18 multi-hit games with Potomac ... Played winter ball for both Oriente of the Dominican Winter League (.330, 14 RBI, 32 G) and Obregon of the Mexican Winter League (.161, 4 RBI, 7 G). Played for Potomac ... Batted .442 (23-52) over a 13-game span, 5/26-6/7, raising his average from .192 to .292 ... Went 8-for-15 (.533) with the bases loaded ... Played for Oriente after the season (.226, HR, 10 RBI, 42 G). Spent the season with Hagerstown (A) ... Pitched in 2 games (0-0, 0.00 ERA, 1.2 IP, 2 BB) ... Appeared at 2nd base, 3rd base and SS. Split the season between Savannah (A), Vermont (A)and Potomac ... Named to the midseason New York-Penn League All-Star team ... Finished 4th in AVG (.321) in the NYPL. Began his pro career with the Nationals' DominicanSummer League team (R). November 2, 2018 2B Michael Martinez elected free agency. September 26, 2018 Columbus Clippers activated 2B Michael Martinez from the 7-day disabled list. April 6, 2018 2B Michael Martinez assigned to Columbus Clippers. December 7, 2017 Cleveland Indians signed free agent 2B Michael Martinez to a minor league contract and invited him to spring training. November 6, 2017 CF Michael Martinez elected free agency. June 25, 2017 Cleveland Indians signed free agent 2B Michael Martinez to a minor league contract. June 25, 2017 CF Michael Martinez assigned to Columbus Clippers. June 22, 2017 2B Michael Martinez elected free agency. June 22, 2017 Tampa Bay Rays sent 2B Michael Martinez outright to Durham Bulls. June 19, 2017 Tampa Bay Rays designated 2B Michael Martinez for assignment. May 18, 2017 Cleveland Indians traded 2B Michael Martinez to Tampa Bay Rays for cash. May 14, 2017 Cleveland Indians designated 3B Michael Martinez for assignment. April 2, 2017 Cleveland Indians selected the contract of 3B Michael Martinez from Columbus Clippers. November 28, 2016 2B Michael Martinez assigned to Estrellas Orientales. November 23, 2016 Cleveland Indians sent 2B Michael Martinez outright to Columbus Clippers. August 5, 2016 Michael Martinez roster status changed by Cleveland Indians. August 4, 2016 Cleveland Indians claimed 2B Michael Martinez off waivers from Boston Red Sox. August 2, 2016 Boston Red Sox designated 2B Michael Martinez for assignment. July 9, 2016 Boston Red Sox activated 2B Michael Martinez. July 8, 2016 Cleveland Indians traded 2B Michael Martinez to Boston Red Sox. July 2, 2016 Cleveland Indians designated 2B Michael Martinez for assignment. May 14, 2016 Cleveland Indians selected the contract of 2B Michael Martinez from Columbus Clippers. November 14, 2015 2B Michael Martinez assigned to Columbus Clippers. November 13, 2015 Cleveland Indians signed free agent 2B Michael Martinez to a minor league contract and invited him to spring training. November 11, 2015 2B Michael Martinez elected free agency. 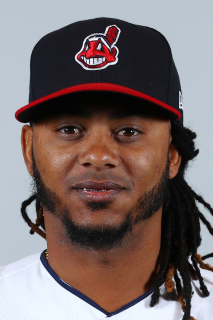 November 10, 2015 Cleveland Indians sent 2B Michael Martinez outright to Columbus Clippers. September 4, 2015 Cleveland Indians selected the contract of Michael Martinez from Columbus Clippers. April 26, 2015 Columbus Clippers activated 2B Michael Martinez from the temporarily inactive list. April 23, 2015 Columbus Clippers placed 2B Michael Martinez on the temporarily inactive list. April 9, 2015 2B Michael Martinez assigned to Columbus Clippers. February 11, 2015 Cleveland Indians signed free agent 2B Michael Martinez to a minor league contract and invited him to spring training. September 30, 2014 3B Michael Martinez elected free agency. September 8, 2014 Pittsburgh Pirates sent 3B Michael Martinez outright to Indianapolis Indians. September 2, 2014 Pittsburgh Pirates designated Michael Martinez for assignment. August 19, 2014 Pittsburgh Pirates optioned 3B Michael Martinez to Indianapolis Indians. July 6, 2014 Pittsburgh Pirates recalled Michael Martinez from Indianapolis Indians. June 15, 2014 Pittsburgh Pirates optioned 3B Michael Martinez to Indianapolis Indians. June 12, 2014 Pittsburgh Pirates selected the contract of Michael Martinez from Indianapolis Indians. April 2, 2014 3B Michael Martinez assigned to Indianapolis Indians. December 18, 2013 Pittsburgh Pirates signed free agent 2B Michael Martinez to a minor league contract and invited him to spring training. October 7, 2013 CF Michael Martinez elected free agency. October 3, 2013 Philadelphia Phillies sent CF Michael Martinez outright to Lehigh Valley IronPigs. September 1, 2013 Philadelphia Phillies recalled Michael Martinez from Lehigh Valley IronPigs. August 21, 2013 Philadelphia Phillies optioned Michael Martinez to Lehigh Valley IronPigs. July 24, 2013 Philadelphia Phillies selected the contract of Michael Martinez from Lehigh Valley IronPigs. June 24, 2013 Philadelphia Phillies sent Michael Martinez outright to Lehigh Valley IronPigs. June 22, 2013 Philadelphia Phillies designated Michael Martinez for assignment. June 21, 2013 Philadelphia Phillies optioned Michael Martinez to Lehigh Valley IronPigs. June 13, 2013 Philadelphia Phillies recalled Michael Martinez from Lehigh Valley IronPigs. June 3, 2013 Philadelphia Phillies optioned Michael Martinez to Lehigh Valley IronPigs. May 24, 2013 Philadelphia Phillies selected the contract of Michael Martinez from Lehigh Valley IronPigs. November 7, 2012 OF Michael Martinez assigned to Estrellas de Oriente. October 23, 2012 Philadelphia Phillies sent Michael Martinez outright to Lehigh Valley IronPigs. August 1, 2012 Philadelphia Phillies recalled Michael Martinez from Lehigh Valley IronPigs. June 27, 2012 Philadelphia Phillies optioned Michael Martinez to Lehigh Valley IronPigs. June 7, 2012 Philadelphia Phillies recalled Michael Martinez from Lehigh Valley IronPigs. June 4, 2012 Philadelphia Phillies optioned Michael Martinez to Lehigh Valley IronPigs. June 1, 2012 sent 2B Michael Martinez on a rehab assignment to Clearwater Threshers. May 12, 2012 Michael Martinez roster status changed by Philadelphia Phillies. April 3, 2012 Philadelphia Phillies placed 2B Michael Martinez on the 15-day disabled list retroactive to March 26, 2012. Right foot fracture. December 27, 2011 SS Michael Martinez assigned to Tigres del Licey. January 31, 2011 2B Michael Martinez assigned to Dominican Republic. December 9, 2010 Philadelphia Phillies claimed 2B Michael Martinez off waivers from Syracuse Chiefs. October 22, 2010 2B Michael Martinez assigned to Estrellas de Oriente. August 1, 2010 Michael Martinez assigned to Syracuse Chiefs from Harrisburg Senators. April 4, 2010 Michael Martinez assigned to Harrisburg Senators from Potomac Nationals. March 27, 2010 SS Michael Martinez assigned to Washington Nationals. December 20, 2009 SS Michael Martinez assigned to Yaquis de Obregon. October 16, 2009 SS Michael Martinez assigned to Estrellas de Oriente. July 16, 2009 Michael Martinez assigned to Potomac Nationals from Harrisburg Senators. June 18, 2009 Michael Martinez roster status changed by Harrisburg Senators. June 9, 2009 Harrisburg Senators placed SS Michael Martinez on the 7-day disabled list. April 1, 2006 IF Michael Martinez assigned to Savannah Sand Gnats. June 17, 2005 Washington Nationals signed free agent SS Michael Martinez to a minor league contract.